Launching in beta first in the United states, LinkedIn Live will be invite-only. In coming weeks, LinkedIn will also creat a contact form for others users who want to get in on the action. Until now, It’s not clear when and if LinkedIn will make it possible for everyone to create LinkedIn Live videos. LinkedIn says it is serious about its efforts, despite being late. 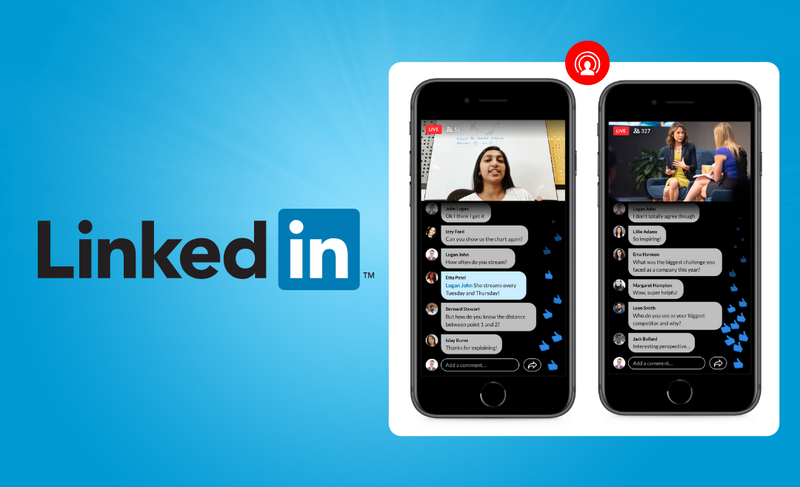 Microsoft ( Linkedin ) has selected a handful of third-party developers of other live broadcast streaming services to work with creatives to push “more polished live video” on the platform. said Pete Davies, the director of product management at LinkedIn. He and LinkedIn declined to give specific figures in terms of how many video creators or viewers there are, except to note that “millions” of LinkedIn members have used the feature. he said. Users can “like” videos as they are being broadcast, with the likes floating along the screen. Viewers can ask questions or make suggestions in the comments in real time. Hosts can moderate those comments in real time, too, to remove harassing or other messages, Davies added. What about the monetization ? Microsoft wouldn’t comment on future monetization plans for linkedin live videos, and for now isn’t even putting video ads into LinkedIn Live videos. said Peter Roybal, head of video product management, in an interview.